What exactly makes a movie Jewish? Does it have to revolve around Jewish characters doing Jewish things? Does it champion Jewish values? Does it need Jewish actors or writers/directors? And what does it even mean to be a “Jewish movie?” Should we even try to label movies as Jewish in the first place? Whoa. Overload. And it just gets more complicated with comedies. Do a few Jewish jokes count? Where’s the line between reinforcing our stereotypes and spoofing them? You Don’t Mess with the Zohan, for example, features a Jewish actor (Adam Sandler) playing an Israeli character, yet is it any more Jewish than the family movie Holes, which on the outside appears to have nothing Jewish about it, but has a cast full of Jews, was directed by a Jew (Andrew Davis) and was written by a Jewish author (Louis Sachar)? You have to do a little digging (no pun intended) to find out Holes is a Jewish movie, but does that make it any less Jewish? I think the true litmus test for whether a movie can be considered “Jewish” has less to do with meeting the aforementioned criteria and more to do with the audience consuming it. And for this reason, Wet Hot American Summer might be the most Jewish movie ever. I’m sure people who aren’t Jewish have seen Wet Hot American Summer, but I’m willing to bet a Jewish friend was the first person to recommend it to them. I first saw it in high school at the urging of Jewish friends and I’ve only ever talked about it with other Jewish friends. To me, it stands out as Jewish, but not in the same way that similarly labeled Jewish comedies do. 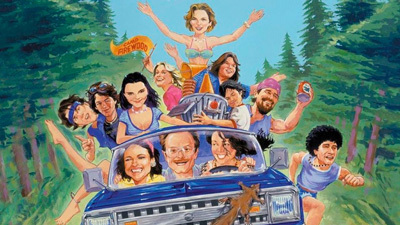 “Wet Hot” recounts the last 24 hours of the summer of ‘81 at Camp Firewood, a fictional Jewish overnight camp (sleep-away camp, if you prefer) in Maine. Everyone is looking for that last hookup or shot at romance, campers and counselors alike, and the story focuses particularly on Gerald “Coop” Cooperberg (Michael Showalter), who has a crush on Katie (Marguerite Moreau), but she has been hooking up with the obnoxious hot guy, Andy (Paul Rudd), all summer. The cast list of “before they were famous” actors in and of itself should tip you off that “Wet Hot” is a hidden gem. Rudd, Elizabeth Banks, Amy Poehler, Bradley Cooper, Michael Ian Black, Joe Lo Truglio, Christopher Meloni and Ken Marino are just a handful. So it’s no surprise that Netflix has a deal with Wain to make a new series based on the characters. But I digress. Very little about Wet Hot American Summer is explicitly Jewish. You can count the obviously Jewish references on one hand. Yet everything about this movie feels Jewish to me, from the oft-irresponsible counselors down to the singing of “Day by Day” from the Christian-themed musical Godspell at the all-camp talent show toward the end of the movie (ask your Jewish mother who came of age in the ‘70s if you’re confused). Jewish overnight camp is an experience that many of us share, and the way we, as Jews, connect to others Jewish people, is through an understanding of our shared experience, such as Jewish holidays, Jewish foods, etc. This is true of all religions and cultures. 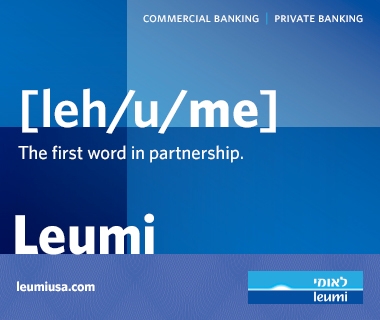 So when a movie can tap into that shared experience, that’s what really makes it – in this case – Jewish. Wet Hot American Summer is without question a gross exaggeration of overnight camps, but all great comedy comes from truth, and David Wain clearly had an authentic Jewish summer camp experience, or else the movie would’ve fallen flat on its face. But we don’t tend to claim movies like “Wet Hot” as Jewish, at least in the comedy world. We seem more inclined to claim films that are indiscreetly Jewish, that play off stereotypes (we’re a people who enjoy laughing at ourselves) and wear them proudly. There’s a place for that humor and those comedies, but we too often overlook the more implicitly Jewish ones. It’s not that Jews don’t see or like these movies, it’s just that we don’t celebrate them; maybe because it’s not obvious, maybe because we want them to be “our little secret” or maybe because we feel more comfortable hiding behind stereotypes of who we are in the public sphere because it’s comfortable. Find the movies out there that speak to your Jewish identity and experiences and claim them as Jewish. What makes a comedy Jewish should not always be how much it pokes fun at what makes us unique and different from others, but what makes us similar to each other.